hSenid Payments allows subscribers to use their mobile phones as a payment instrument to make payments at retail outlets, pay for taxis, buy movie tickets and many more and promote a network with merchants to build apps to implement m-commerce. With hSenid Payments, mobile phones can now be used as cash or virtual tickets to make payments at retail outlets, pay for taxis, buy movie tickets and many more. Consumers (banked or unbanked) can simply reload the hSenid Payment wallet and make payments to merchants in the mobile ecosystem. 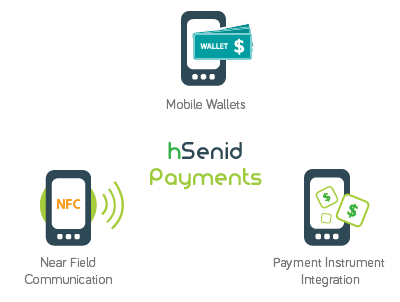 hSenid Payments provide a Payment Gateway which is capable of integrating all sorts of payment instruments; hence it improves the mobile services to bring convenience to all. hSenid Payments is also available in a variety of access channels such as SMS, USSD, WAP and Android. Moreover, embedded with latest technologies, payments can be made via NFC (Near Field Communication) enabled cards or mobile phones. mChoice™ Payments with NFC has potential to generate significant value due to its usability, simplicity and security making lives more easy by just having to ‘tap’ and ‘pay’.